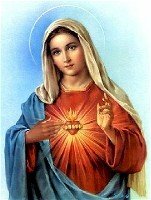 Holy Virgin Mary, Mother of God and our Mother, accept this Holy Rosary, which I offer you to show my love for you and my firm, confidence in your powerful intercession. I offer it as an act of faith in the mysteries of the Incarnation and the redemption, as and act of thanksgiving to god for all His live for me and all mankind, as an act of atonement for the sins of the world especially my own, and as an act of petition to t God through your intercession for all the needs of God’s people on earth, but especially for the earnest request (Mention your request).I beg you, dear Mother of God, present my petition to Jesus, your Son. I know that you want me to seek God’s will, pray that I may receive that which will be of greater benefit for my soul. I put all my confidence in you. Amen.